A new brewery opens, or an old brewery rebrands. They announce a new line-up with a regionally appropriate IPA. The internet hums with marketing and social media buzz. A press release goes out: they’re putting their beer in cans. This, by itself, is unremarkable. As Tom Acitelli notes in his All About Beer article from 2013, Oshkosh Brewing (no affiliation to the clothing, I don’t think) released a red “craft” lager in cans in 1991. 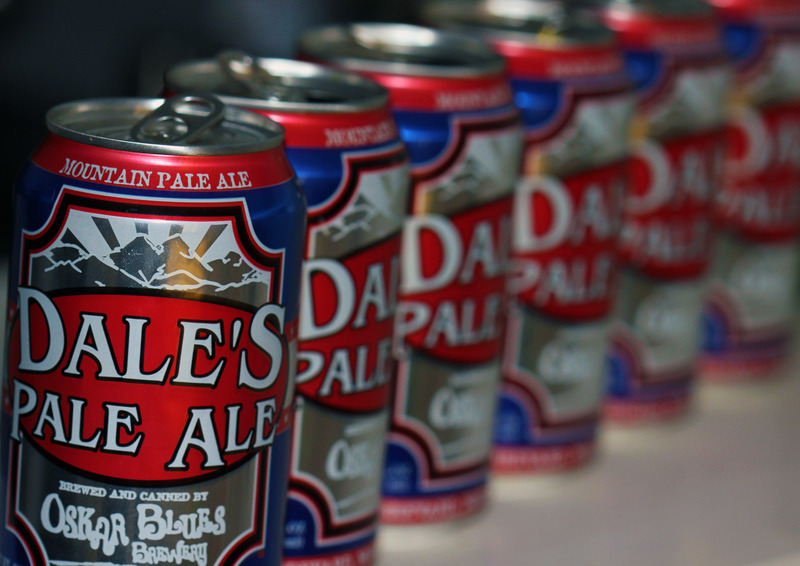 Oskar Blues has been putting its Colorado born beer into cans since 2002. Budwesier has probably the longest (still existing) pedigree for canning beer, as its first cans date back to 1936. In the time it took modern beer to “rediscover” the can, those original cans could have been recycled ~680 times. Canning isn’t exactly hot-n’-trendy in the harsh light of historical accuracy. The Aluminum Association (yes, that’s a real thing) notes that over 500 breweries are now canning over 1700 products. People seem stuck on this move to pop tabs over bottle caps, perpetually repeating the same canned cliches: cans protect against light and oxygen exposure, are lighter and more portable, are cheaper and more sustainable, and don’t shatter into a million potential wounds when dropped onto a hard surface. These are all good things and I admit I sometimes prefer my beer in cans and hooray for options. But this focus on how we’re using cans often ignores the fact that cans are incredible. From a scientific and engineering standpoint, at least. Aluminum (a periodic element; #13 if we’re being specific [which we are]) is the most common metal found in the Earth’s crust (8.23%). That sounds like a geologists smorgasbord until you realize that it is never found in a “free” state, and always exists as a compound of some other junk. Those compounds are called “alums.” Not only do these alums not have to field donation calls from their alma mater twice a month, they also contain trivalent metal ions, which basically means they’ve got metal in ‘um, but the metal is naturally hard to get at. For most of human history, aluminum did not exist. We had managed to discover many other metals that exist in a free state (gold, silver, copper), and were inventive enough to realize that by melting rocks, we could get at other, less obvious metals. We even got smart enough to start blending them together, which lead to the first alloys, like steel (iron and carbon). Say what you want about our ancestors, but you have to admit they were pretty igneous…sorry, ingenious…when it came to rocks. Up until 1787, the world relied mostly on nickel and iron for all of its metallurgic needs. But some plucky scientists noticed an unknown substance that appeared in a lot of their samples, and theorized it was another metal that they had been so far unable to extract. They were correct. Hiding in the middle of potassium and sulfate (or more colloquially, KAl(SO4)2·12H2O) was a metal that would change the world, and eventually house your beer. The unknown metal postulation wouldn’t be proven for another 38 years, when Hans Christian Oersted, a Danish chemist, managed to isolate aluminum in aluminum chloride. By 1845, a German named Friedrich Wöhler collected enough aluminum to determine its basic properties, and in turn, possible applications. Prior to his research, metal was considered strong but heavy. Aluminum proved strong too, but also incredibly light. Like Hunahpu and Ann, aluminum could only be found in very small quantities. This made using it for things like cars and airplanes and beer cans notably difficult. Thankfully, by 1886, two enterprising chemists (Charles Martin Hall and Paul L. T. Héroult) discovered a way to extract aluminum from aluminium oxide (Al2O3). This chemical advancement, coupled with the discovery of Bauxite (an ore that contains copious amounts of Al2O3) lead to a rapid expansion in the availability of aluminum, just like Goose Island after the ABI purchase. With wide availability came wide use. The engine in the Wright brother’s biplane was made from aluminum, and so were ship components and radar chaff used in World War 2. When Edison first started his electrical transmission network in 1882, aluminum was still rare. He opted to use copper instead, but given its affordability and light weight, aluminum is considered the most effective metal for electrical conduction in modern day applications. In a somewhat ironic twist, the technology to produce lighter and stronger aluminum alloys (that would eventually be spun into modern beer cans) began during the years leading up to the American Prohibition. The Great Depression saw the creation of the Works Progress Administration, whose work lead to the refinement and production of aluminum for hydroelectric and other civil engineering projects. With the repeal of Prohibition in 1933, breweries saw the opportunity to put their new metallic abundance to use, and the first canned beer (Krueger’s Finest Beer and Krueger’s Cream Ale) entered the market on January 24, 1935. These cans weighed nearly 4 ounces; doesn’t sound heavy, but today’s modern, super-thin aluminum cans weigh 14.9 grams. There are 28.35 grams in an ounce. You do the math. They were heavy because early cans were not usually made from aluminum. Coors introduced a two-part aluminum can in 1959, but the first all-aluminum can was brought to market by Budwesier in 1965. Today, approximately 75% of all beverage cans are made of aluminum alloy. Unlike glass and plastics, they are infinitely recyclable, too, and will often be back on the shelf in as little as 60 days. About 180 billion cans are produced annually, and they remain the single most recycled product in the world. All that history and science, just to get a beer into your hand. And that’s just what it took to get to the point where we could mass manufacture aluminum cans. The element itself is incredible, too. Since it doesn’t contain any ferrous compounds, it cannot rust. Instead, aluminum oxidizes, reverting back to aluminum oxide. Unlike rust that eats into and weakens the metal around it, this oxidation actually strengthens and forms a protective layer on the aluminum. Canning companies have to add a lining to cans (debates about the evils of BPA can be directed elsewhere), otherwise the oxygen in the beer would react with the aluminum in the can, and ruin all that lupuliny goodness. The weight (or lack thereof) is nothing to scoff at, either. As I noted above, the average aluminum can weighs about 15 grams. With ~2.5 times the density of aluminum, a modern steel equivalent (same size and width) would weigh ~37.5 grams. That doesn’t sound like a lot, but 2.5 times the weight on thousands of BBLs of beer would increase logistics costs substantially, which would probably in turn raise how much you had to fork over the for the finished product. Kegs can also be made from aluminum which, while potentially less structurally sound than their stainless steel sisters, are much easier to lug around a cold room. TL;DR: Aluminum is sort of amazing, you guys. The next time you slip your fingernail under a tab, and listen to that relaxing exhalation of escaping carbonation, take a second to appreciate that the can you’re holding isn’t just a gimmick, or marketing tool, or some fad in beer. It’s more than just a vessel that sails you off into the weekend unknown. It’s more than just a footnote in a PR campaign. It’s a time-honored example of human scientific ingenuity. I also hear they’re pretty good for shotgunning too, whatever that means. Tagged: alloys, aluminum, aluminum cans, beer, beer cans, budweiser, canning, cans, craft beer, history, metals, oskar blues, science! Great article, fascinating how aluminium evolved. Whata the BPA the cans are lined with? Is that a plastic, if so couldnt it be harmful? Ive also heard that drink stored in aluminium can have long term health affects if used a lot. BPA (bisphenol A) is in the lining itself. It’s also used in water bottles and other plastics. There’s some concern that exposure to the chemical causes long term health problems, but not everyone agrees. The FDA banned the use of it in baby bottles, but simultaneously, the EPA says it’s fine at current levels. I did some additional research, and there’s little science to support that aluminum itself causes health problems.